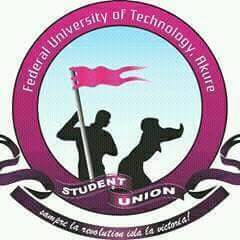 A message from FUTA Union Government to Futarians. Greetings from the apex students' policy making body. There is a saying, "effectiveness does not occur by clipping the 8 letters in nonsense rather it is the derivation of sense out of nonsense. We plead for late response and we believe this brief analogy is believed to address worries about present state of the varsity. In pursuit of our mandate to the objective of student unionism in this citadel we cannot but appreciate your understanding and support. To the pressing issue on campus concerning the ongoing industrial action by some university non-academics staffs, the students' union has taken bold step to ensure normalcy comes back to the university through meeting both parties which is willing and unwilling to let go the panorama. Subsequent meetings shall follow so as put an end to the crisis. We are making use of all available materials we have to mediate and ensure that we resume. If all avenue of dialogue has been exhausted without concrete resolution, Futarians should expect a directive from the union on the next line of action. All advisable and necessary measures has been taken and we are making the assurance of protecting fellow futarians interest in this matter. We want to appreciate your compliant towards matter arising, with utmost sincerity it has made belts fastening up and toes stand on its tip. Fellow futarians, your enviable encouragement has brought us this far and thus; we are counting on more of our unquantifiable support.